WASHINGTON — VA secretary nominee Ronny Jackson faces the first major test of his appointment on Wednesday, when he appears before the Senate Veterans’ Affairs Committee for his confirmation hearing. 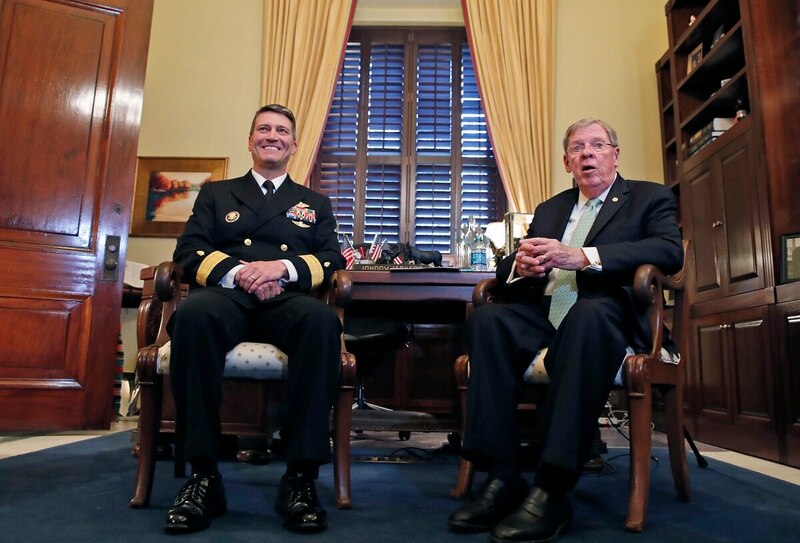 Jackson, a rear admiral in the Navy and the current White House physician, is largely unknown in the veterans community, and is expected to face pointed questions from lawmakers on an array of issues outside of his current job duties. 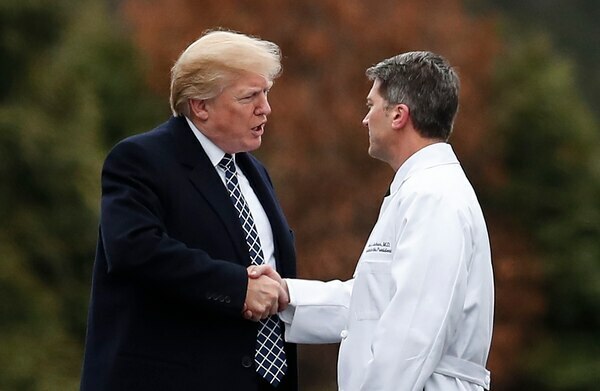 He’s taking over for a once-popular VA secretary and doctor who was fired by President Donald Trump over Twitter just a few weeks after an Oval Office ceremony where the commander in chief praised him for unprecedented reforms to the department. Lawmakers will want to know why Jackson thinks he can fill the job better, among a host of other VA policy items. Vets groups and lawmakers say they’re against it — but what does ‘privatization’ of Veterans Affairs really mean? The term will command much of the debate at the new VA secretary's confirmation hearing, but different groups have different definitions. ** How much private-sector care access does Jackson want veterans to have? Jackson is likely to be asked multiple times whether he is in favor of privatizing VA health care, and he will say “no” every time. But the term “privatization” has become an ill-defined pejorative within the veterans community, meaning different things to different people. So that alone doesn’t really answer the core question of how much Jackson will rely on outside doctors to supplement or replace veterans medical care. About one-third of all medical appointments paid for by VA last year took place in hospitals and clinics outside its own federal system. A plan being discussed on Capitol Hill would make more veterans eligible for those visits, but still keep VA at the heart of care coordination and scheduling. If Jackson indicates that he would like to see that proposal expanded more, giving veterans more flexibility to choose outside doctors without department approval, it’s likely to alarm Democrats and veterans advocates who see that as a step towards major shifts of money outside VA, potentially hurting the traditional health care system in the future. But Dr. Ronny Jackson told the lawmaker he hasn't discussed it with the president yet. ** Is Jackson ready to run a $200 billion agency? This is the question that many outside the veterans community will be tracking the most closely, given Jackson’s promotion from overseeing the small staff of White House medical services to the more than 375,000-person Department of Veterans Affairs. In his meetings with senators last week, Jackson acknowledged the challenge ahead but said he is confident he can rise to the challenge. And several outside advocates — including former VA Secretary David Shulkin, the man Jackson is replacing — have said that running the nation’s largest health care system is a daunting task for any potential candidate. Still, the issue is likely to come up in the context of whether Jackson was properly vetted for the Cabinet-level post, or whether his personality and close connection to the president played a primary role rather than his actual ability to run the department. Since a travel scandal broke on Wednesday, VA leadership has been embroiled in internal political fights that could result in the ousting of more top department leaders. ** How much say will Jackson have over his staff? Shulkin has blamed political operatives within the department for undermining his tenure as secretary, and for trying to advance a too-aggressive privatization agenda within the department. Nearly all of the individuals he viewed as opponents are still there. Whether Jackson can fire the VA’s problematic officials or play any role in selecting high-level appointees remains to be seen. Shulkin said before his dismissal that the White House promised him authority to deal with those kinds of staffing decisions, but he was blocked from firing anyone himself. The department is currently conducting a search for its open under secretary for health post — Jackson interviewed for the position earlier this year — and is also dealing with a growing list of other top executives departing in the wake of Shulkin’s firing. Lawmakers want to know if Jackson or less-visible White House figures will be making those decisions. Former VA Secretary David Shulkin has said the department was close to finalizing a contract just before he was fired. Now the deal is in limbo. ** What is going on with the VA electronic medical records plan? Getting the VA and Department of Defense on the same electronic medical records system was one of the Trump administration’s most touted veterans achievements last year, but as of now the goal appears as far away as ever. The plan had been a major focus in the last few months for Shulkin, who reportedly was days away from finalizing a contract with the Cerner Corp. to get the two massive bureaucracies on the same platform when he was fired from the administration. Since then, company officials and White House leaders have been mum on where the deal stands. The plan was expected to take a decade to complete and cost upwards of $16 billion. Lawmakers are wondering if it will ever move ahead, and are likely to ask Jackson if he and the president are still committed to the idea. Darin Selnick, a controversial veterans adviser to President Donald Trump, said the former VA secretary has become unhinged and paranoid over policy disagreements. ** Can Jackson rebuild trust in VA? Shulkin’s firing was the second time in four years the department’s top official was forced to step down. For many individuals inside and outside the veterans community, the department appears to be a disorganized mess, with a problematic record of delivering care and benefits. But major veterans groups (and Shulkin) have repeatedly pushed back against that image. While they acknowledge VA is a massive bureaucracy in need of reforms, they have also insisted that veterans are generally happy with the care they recieve in the system and do not want wholesale dismantling of the department. Reconciling those two different public images of VA will be part of Jackson’s charge, and a responsibility that his predecessors have complained is complicated by the political whims of lawmakers. Step one will be winning most of them over at the confirmation hearing.